Approximately 50 protestors arrived at the historic “Old Queens” office building of Rutgers University President Robert Barchi Monday afternoon to contest the institution’s decision to invite former U.S. Secretary of State Condoleezza Rice as the 2014 Commencement speaker. 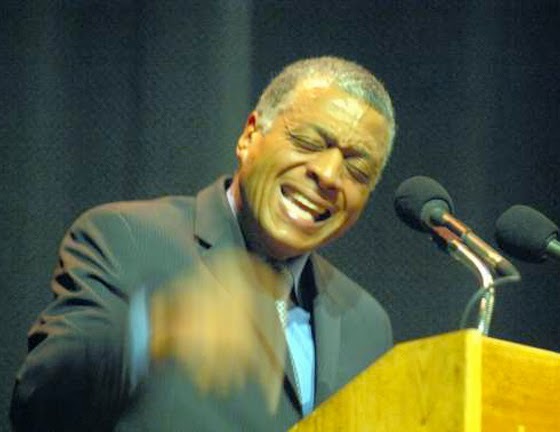 The university revealed Rice’s status as the keynote speaker in late February. With plans to give her an honorary law degree and $35,000 for her appearance, the announcement sparked political controversy and debate on campus due to her role in the Iraq War. Regardless of Barchi’s intentions or hearing capabilities, he was not physically present in his office for the duration of the protest, but security was. Denying protestors’ access to restrooms as well as refusing them re-entry once they left the premises of the Old Queens office, campaigners found the conditions surrounding the demonstration less than desirable. However, this protest was just the latest extension in the Rice selection controversy as some faculty members, who chose to remain anonymous, voiced their dissatisfaction with the selection process. Activists from the student organization “Students for Justice in Palestine” echoed these sentiments regarding the lack of diplomacy in this year’s selection, and demanded a platform to speak with President Barchi. Nonetheless, because students were prohibited re-entry to the Old Queens office after leaving, many went hours without eating until the evening approached and officials announced that the building would close. After some deliberation, students vacated the premises to avoid facing prosecution. Despite the adversity, these Rutgers students adamantly insisted that they will continue to contest Barchi’s decision until their cries are acknowledged. Yet, some would argue that this “free exchange of ideas” Barchi referenced has a cost. With only a few short weeks until the university’s commencement ceremony, it will be interesting to see how much each faction is willing to pay in order to defend its ideas surrounding this issue. Students, musicians, and faculty gathered at the Rutgers University Paul Robeson Center, April 19th, 2014 in a celebration of West Indian culture and unity. With live performances, a fashion show, and great vendors, the West Indian Student Organization (WISO) delivered yet another successful installment of its annual "Caribbean Day" celebration. 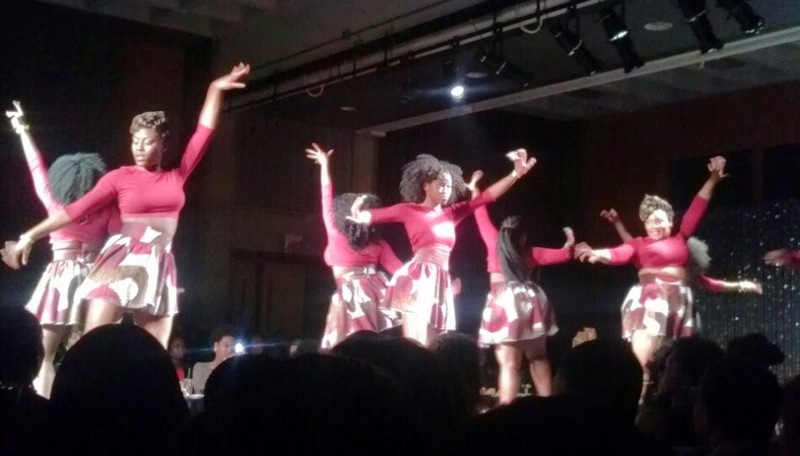 Performers included WISO's very own dance team, up and coming artists, as well as a marquee performance by popular Jamaican artist Baby Cham. Check out the highlights below! For more highlights check out Ray Cheley's Youtube Channel entitled "The Taste Bud Reviewer" OR on our "NABJ News" Youtube page. 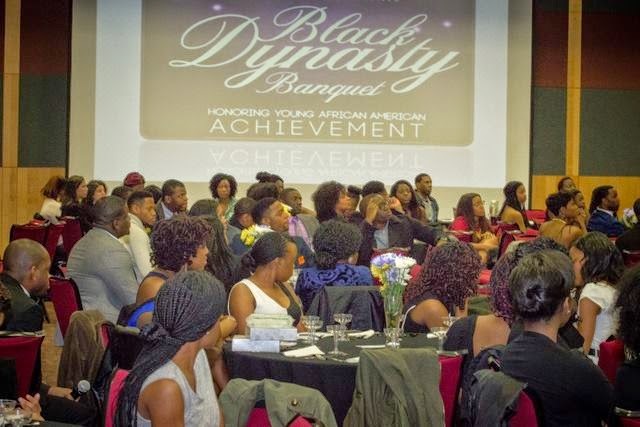 In an honorary ceremony showcasing African-American excellence and philanthropy on Friday April 18, 2014 in the Rutgers University Student Center, RU Wanawake’s “Black Dynasty” Banquet provided attendees with a sense of empowerment. 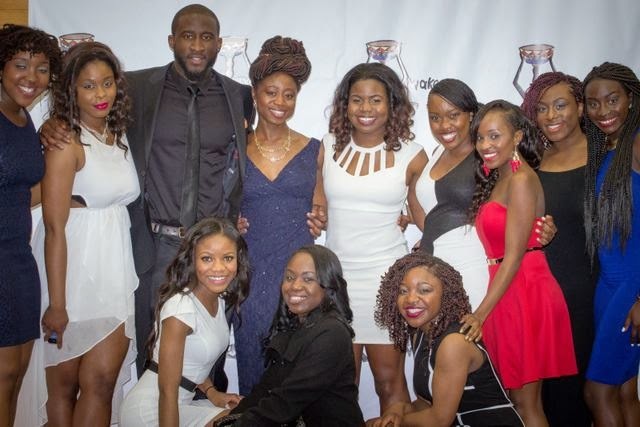 Certainly fulfilling their mission with this event, Wanawake provided an award to an organization that is working hard to accomplish those aforementioned initiatives. “Project Dental All,” is a New Jersey based non-profit organization that provides proper dental hygiene care and products to people across the world who are not fortunate enough to have the necessary resources to do so themselves. With operations in Ghana, Nigeria, Sierra Leone, Haiti, and several other locations throughout the world, the charitable organization humbly accepted the recognition while expressing optimism about the future as the crowd applauded. 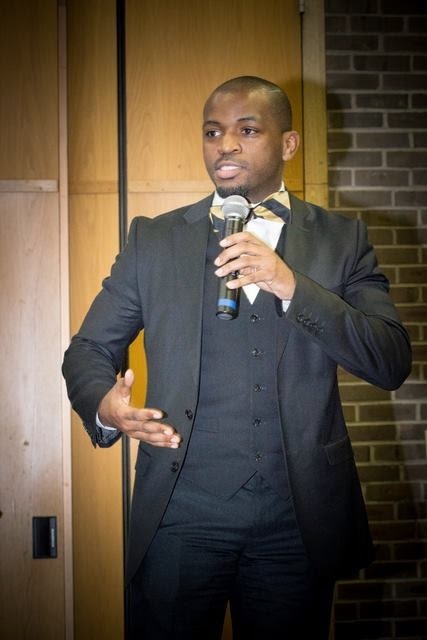 Echoing Porter’s humility and sense of achievement were the event’s two guest speakers. Following Genfi was Yetunde Odugbesan, a highly sought after and dynamic public speaker who sent the message that “Your passion will lead you to your purpose.” And spoke on the importance of minority students preparing themselves with practical experience and knowledge prior to entering the workforce. 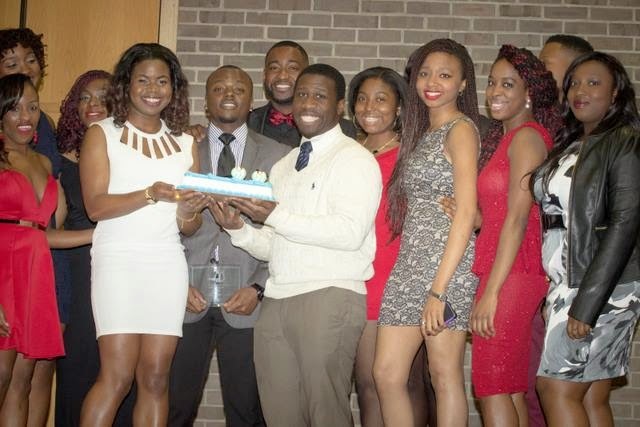 Thus, with exciting events such as their “Wana-Showoff” Talent show in the fall semester, their annual banquet, and meetings every Tuesday night promoting intellectual thought and community service programs, RU Wanawake’s “Black Dynasty” banquet did not only exemplify those in the community promoting excellence, but epitomized everything they stand for as an organization. RU Wanawake is no longer an up and coming organization, they have arrived. President of Black Student Union, Fawzan “Fez” Lari is very passionate about the issues that affect the minority communities on and off the Rutgers Campus. Lari sat down and told us about the history of Unity day and why it was important to students of all cultures. Rutgers University students and distinguished guests arrived dressed to impress for a good cause, April 5th, 2014 for the 2nd Annual "Pink Tie Affair" hosted by the Douglass Black Students Congress (D.B.S.C.). In an effort to raise Breast Cancer awareness, the banquet featured guest speakers, spoken word performances, as well as a luminary ceremony which honored those past and present who have been afflicted by the disease. "The preparation for Pink Tie, without a doubt, was a group effort..." offered D.B.S.C. historian and public relations chair Egypt Pringley, "We work hard to keep our reputation as an organization that hosts good, quality events." Jimi Gbadamosi, Public Relations chair for TWESE, the Rutgers University organization for African students and friends of Africa, appreciated their commitment, "I like the fact that as young, African-American college students, we're able to come together and do something to support a cause rather then just spending money to go to a party in the student center. Positive events like these speak volumes for our community." Furthermore, as guest speakers Dorothy Reed and Lareatha Payne's words resonated with the audience, one could see why D.B.S.C. 's reputation of quality has been maintained. 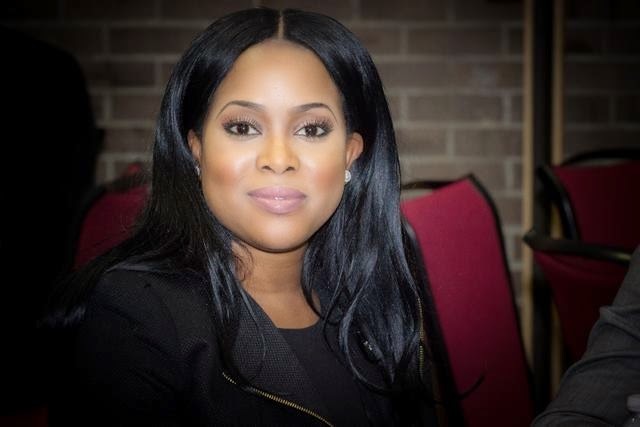 Reed, a Sisters Network representative, works within her Central New Jersey network to bolster awareness in the African American community about the devastating impacts of Breast Cancer, while providing assistance to patients across the tri-state area. "For 14 years we have educated the community, and we have educated ourselves... A woman should not die because she does not have money for a mammogram." Affirming the importance of education, early detection, and prevention, Reed addressed the statistics regarding African-American women and Breast Cancer, and explained the ongoing solutions that Sisters Network is striving for. However, it was the humorous yet strong words that followed by Breast Cancer survivor Lareatha Payne that set the tone of hope and renewal for the remainder of the evening, "We always think of cancer as being a death sentence... Well, that was 16 years ago and I still look pretty good don't I?" Payne spoke candidly about her experience and struggles, including a time in which she went "symptom free" for 7 years after her original Breast Cancer diagnosis, only to wake up one day feeling "off" and becoming informed that the cancer had spread. It was in that moment where Payne said she made a decision, in the face of death, "I decided that I was going to live... I was going to deal with this in a fighting, healing mode... I had to forgive, I was inspired by the story of Job and how after his affliction God held promise... I took on a tone of laughter." Her resilience reflected a courageous attitude few are capable of in the face of such adverse circumstances, but Payne noted how she was not alone in her fight. The Sisters Network provided her with the support she needed to overcome Breast Cancer. Similarly, D.B.S.C. President Siobhan Barrington echoed these sentiments of sisterhood. "As the President I feel like I can only lead if I have a supportive army behind me, and that is exactly what I have, an army of strong women standing next to me making things happen..."
"These are all the sisters that I never asked for, but couldn't be any more proud to have." It was the words "No justice, No peace" that echoed from protesting students in unison outside of the Rutgers University Student Center in New Brunswick, New Jersey early March 7, 2014. Influenced by the outcomes of recent "Stand your Ground" cases involving Trayvon Martin and Jordan Davis, students gathered together in protest for what they believed to be a large injustice taking place within America's judicial system. Trayvon Martin, who was infamously shot and killed by George Zimmerman walking home on the evening of February 26th 2012 in Sanford, Florida, sparked the large amount of controversy and publicity surrounding the "Stand Your Ground" laws which Zimmerman used to justify his actions. Jordan Davis on the other hand, was a 17 year old African American male who was shot dead in his car by Michael Dunn after a Verbal confrontation about loud music. Dunn was eventually convicted of three accounts of attempted second-degree murder. 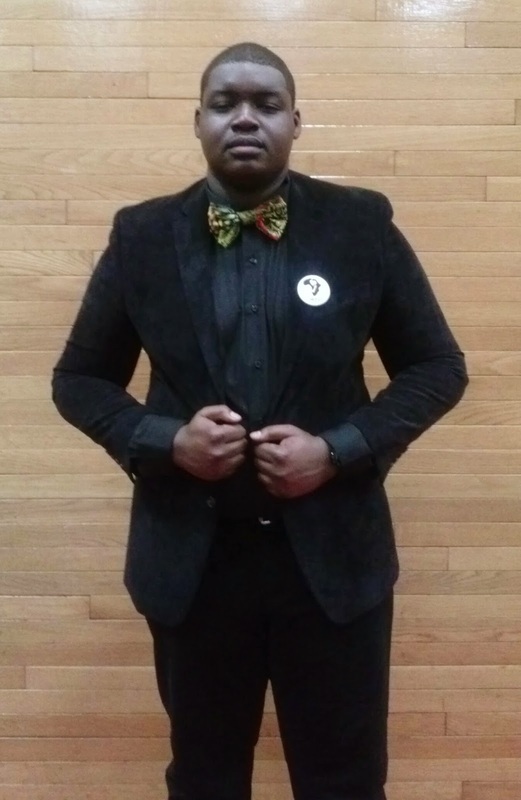 Christopher Bradshaw, Treasurer of the Rutgers University Black Student Union (B.S.U.) helped orchestrate the event. B.S.U., in correlation with other student organizations such as: Douglass Black Students' Congress (D.B.S.C. ), Alpha Phi Alpha Fraternity Inc., and Students for Justice in Palestine (S.J.P.). Bradshaw stated the event reflects "social injustices in our criminal justice system... and how it disproportionately affects black and brown [individuals]". Jaimese Morris, representing the Douglass Black Students' Congress, attended the event for personal support and interest. She said "As students and minorities, we have to address these issues... This is happening to our young folk, it's happening to people around our age... When you look like the people that are being harmed it's up to you to make a difference." Morris also plans to take strides in the future evoke positive change. She said, "I'm going into criminal justice and I'm going into law enforcement, I feel as though I should be the person who is going to be on the right side of justice." Bradshaw offered similar sentiments, saying that students play an essential role in bringing about this change. He said "We are the next step in that leap, we are the people who are going to be educators and lawyers. So it's up to us to have a positive influence on social justice, social awareness and equality." "We are all united in a struggle, it takes responsibility to accept that my problem is your problem, and even if it's not right now, it will be in the future". Christopher Bradshaw also wanted to give a special thanks to Larry Hamm for helping him organize the event. Mr. Hamm is the Chairman of the "People’s Organization of Progress." Hamm has been a life time advocate for social justice. 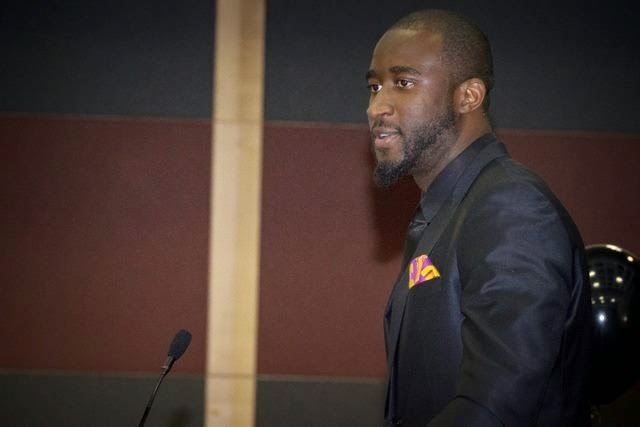 According to NJ.com he was state director for the million man march, and has helped lead demonstrations in Newark high schools, Princeton University, and is a well known activist against urban violence, and police brutality. 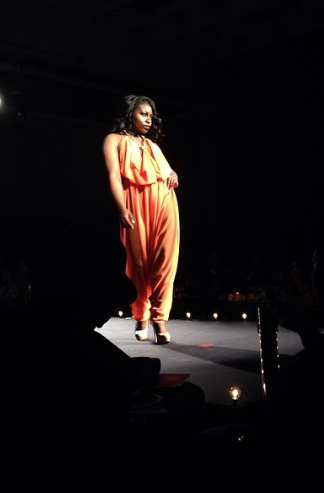 Hamm was scheduled to attend the event, but suffered injuries from a recent car accident. According to the "People’s Organization for Progress" he is now successfully en route to recovery. The N.A.B.J. Rutgers Chapter staff wishes Mr. Hamm the best, and we look forward to meeting him in the future. 23rd Annual TWESE Fashion Show: "Black Excellence"
The 23rd Annual “Twese Fashion Show” held Saturday March 8, 2014 at Rutgers University’s Student Center attracted large crowds as students modeled lines from professional designers and showed off their modeling skills. Attendees came dressed to impress following the all black theme, as the lit runway lined the middle of the multi-purpose room and VIP members took their seats along the perimeter of the catwalk. Up-and-coming host and entrepreneur Rodney Rikai Thomas hosted the show alongside Rutgers University alum Sasha Starr. The show featured a dozen designers with styles ranging from casual to formal wear for both male and female models. However, it was not just the layout and designer’s styles that proved to be authentic and diverse. The fierce energy of the models immediately set a high bar for the show and continued throughout the night. Although some of the models had years of experience, for others it was only their first or second time. Thus, to prepare for the show, the models rehearsed several times a week. “It was hectic at times but it turned out smooth,” said model, Ovie Enaohwo. 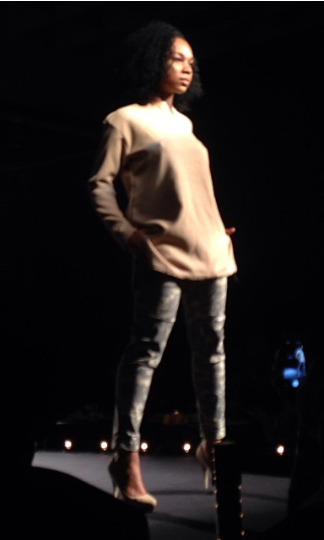 Of the 12 designers in the show, the crowd favorite was Marco Hall. Hall, based out of New York and New Jersey, has been a designer for over 20 years. “Being able to create and show people my growth,” is the favorite aspect of his profession. His self-entitled line of elegant dresses and gowns visually challenged the audience yet remained crisp and classy. Other highlights from the show included a performance by the Twese Dance Troupe, and a modeling competition for audience members.